Write Well Always: Soulja. Unsigned Artist of the Week. Our Unsigned Artist of the Week is Soulja from Queens, NY. Soulja brings to the table lyrics that express a pure and conscious view of the world around him from both a local and political standpoint. 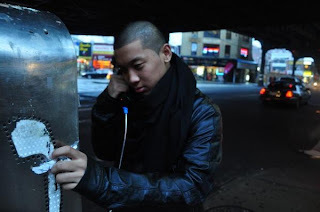 From topics about family to the ongoing conflict in Tibet, he uses his knowledge and understanding of familiar and foreign topics to give his listeners a fresh new perspective of the overall power of Hip Hop to be a voice of the people. As Soulja grows, those who chose to follow him as a fan will benefit from an artist who uses his gifts not only to entertain but also to educate. My Favorites from Soulja are "Go" and "Just Tryin' 2 Make U See"
Somebody give this guy a record deal already!!! !